In 1986, the magical fantasy movie Labyrinth introduced the world to a set of unforgettable goblins from the minds of Jim Henson and Brian Froud. Not only has the film become a classic with a huge cult following, but Brian Froud's long out-of-print book about the malevolent and cantankerous goblins--packed with his brilliant drawings and paintings--has achieved similar cult status. Brian Froud has created some of the most breathtaking mythic artwork of our time. His numerous awards include a Hugo for Best Original Artwork. 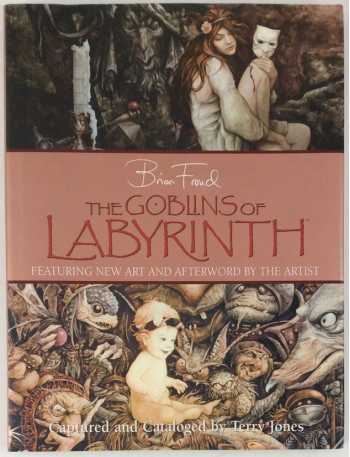 In addition to the million-copy international bestseller Faeries (with Alan Lee), Froud's books include such soaring works of the imagination as The World of The Dark Crystal, The Runes of Elfland, and Lady Cottington's Fairy Album. He lives in England. Terry Jones is the author of the screenplay for Labyrinth, and is perhaps best-known as a member of British comedy team Monty Python.